What if I told you that you could create a shift in your mindset—and possibly your whole life—just by reading a few simple words once a day? That would be pretty incredible, right? Well, that’s exactly what can happen when you’re working with the power of mantras, the very mantras that laid the foundation of my bestselling book, You Have 4 Minutes to Change Your Life (Hay House, 2017). A mantra is a repeated sound, word, or phrase used to focus the mind, remove distracting thoughts, and imprint beneficial ideas and beliefs into the subconscious mind. I’ve used mantra meditation to help deal with stress, low self-esteem, anxiety, body issues, grief, emotional and physical wounds, and relationship problems. They have also helped me cultivate courage, confidence, gratitude, abundance, success, and true happiness. Yes, all that! And I believe they can do the same for you. For the next 21 days, you’re going to use my favorite mantras to effortlessly manifest real change in your daily life. An email with your first mantra will arrive immediately after signing up. 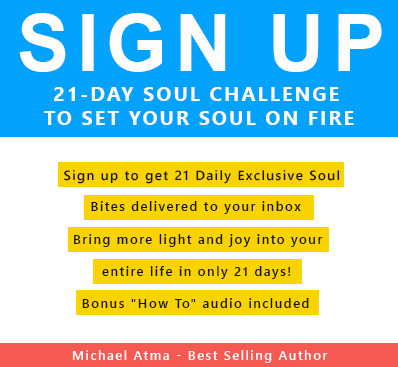 Then, you’ll receive daily emails for 21 days, each with a brand new mantra for you to say to yourself, meditate upon, and keep in your heart forever. Each daily mantra will also come as a beautiful graphic to print for yourself or share with your friends online. Sharing is caring! Ready? Sign up for your mantras below. Your welcome email will arrive shortly. Be sure to check your spam, junk, or promotion folders if you don't see it in your inbox. Please contact hello@meditation.com with any questions.